Sanity took a hit to the gizzard when the New Yorker posted an article by an atheist presumably addicted to Chick-fil-A sandwiches and ashamed of his obsession. The benefit of modest goals is that they’re easy to meet. And then we remember it is at malls where Chick-fil-A restaurants are often found. It appears Piepenbring went to one too many. The dark truth is that once an addict starts on a bag of waffle fries there is no stopping him until he reaches the salty end. He enters a strange, exotic mall and cannot overcome the irresistible force driving him to the food court. He will feel that he is outside himself, that it is another person altogether, who for the fourth time that day orders a chicken biscuit. With cheese. He will hate himself after. And he will hate his obsession. If he is too far gone, he might even hate God. 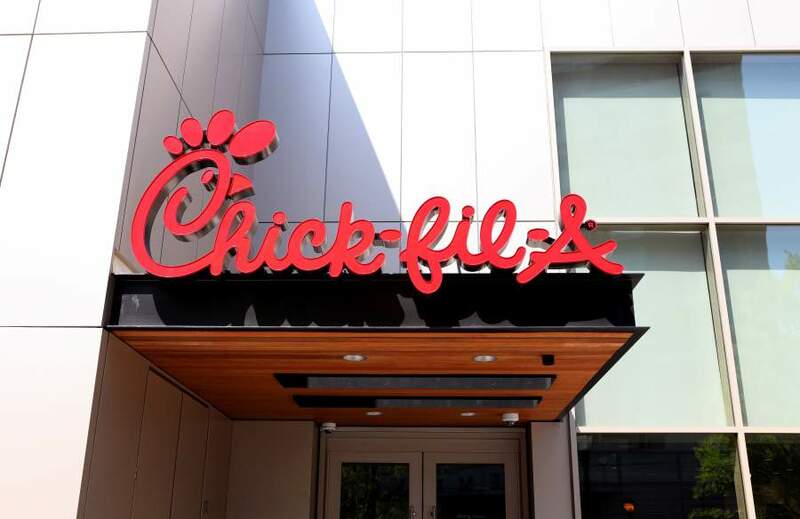 What else can account for Piepenbring calling the opening of a new Chick-fil-A branch an “infiltration”? Why else would he cry against the chain’s “pervasive Christian traditionalism”? The man has it, and he has it bad. Now it all makes sense. Now we can see his frustration over the company’s stated purpose “to glorify God.” Now we understand the fixation on cows. Chick-fil-A, if you didn’t know, has a series of amusing ads which portray cows saying “Eat Mor Chikin.” Cows are notorious spellers. One stunt had life-sized cows scaling a water tower on which was painted the slogan, one cow dangling from a rope held by another. Cows are not chickens. It takes chickens to make Chick-fil-A sandwiches. Chicken sandwiches, therefore, are not hamburgers. Evidently the thought of hamburgers must set poor Piepenbring off. He says cows are the chain’s “ultimate evangelists.” Evangelist, as in “a person who seeks to convert others to the Christian faith, especially by public preaching.” In this case, not the Christian faith, but the worship of the chicken nuggets combo deal. I’m not sure what a cow’s schadenfreude is, but if it comes with a side of fries, I’ll take a double order. We know that the man cannot do without his fix, but still he writes that the chain’s arrival in New York City “augurs worse than a load of manure on the F train.” Now I have ridden the F train to Brooklyn countless times, and I can tell you a load of manure would be an improvement. Well, let that be a lesson to readers of the dangers of addiction. His entire article is a cry for help. Yeah, seems like just another disenfranchised chicken hater. Thats the problem w/this great country. Too many chicken haters. God should have known better than to make those first two chickens whose future progeny would contribute to such unmitigated angst. Oh well, how else could a rational ( ? ) being wind up w/so much “egg on his face “…?! Maybe God created two eggs, who didn’t know they’d hatch as chickens. I don’t look for a lot of self-awareness in chicken eggs. Problem w/that besides the questionable cognizance of unfertilized eggs is a different take on that age old question baffling the intellects of the disingenuous. What came first the Rooster or the hen ….? “Hit to the gizzard” just sooo works with this. Kudos. Guy’s a turkey; what can ya expect?? Wouldn’t expect that he would be one that routinely gobbles up the fare of the malignee, is it? Nice touch there toward the end, calling for heed to his need. “Now I have ridden the F train to Brooklyn countless times, and I can tell you a load of manure would be an improvement.” Really? Sometimes in trying to be humorous I wonder if we take liberties that denigrate those different from ourselves. Does this statement reflect the love of Jesus? My guess is it reflects reality and Jesus was all about reality!